Few people enjoy cleaning their bathroom, but it is a necessary part of the home care routine and an integral part of daily life. Maintaining proper hygiene standards helps to prevent contamination and illnesses in the family and visitors. First of all, remove all unnecessary items from the bathroom itself. These include decorative pieces and all the things which are standing on the floor, including spare paper products or other toiletries. Being able to access all areas of the floor space helps to ensure that they can be thoroughly cleaned. Choosing whether to sweep the floor at this stage, early in the cleaning regime, or later after all other areas have been cleaned tends to be a case of personal preference. This is also the time to pour a bleach or disinfectant product into the toilet bowl. Put the toilet brush into the bowl itself to allow this to also be disinfected. Allow these to soak whilst proceeding to start cleaning the walls. In most home bathrooms, the walls are tiled. Where these have congregated mould colonies, use a water spray mixed with a solution of bleach and leave it to rest for a few moments before trying to remove it. This is also effective on ceilings and window frames. Tile grout can harbour germs, so be sure to thoroughly scrub these areas. Bathrooms fitted with hygienic cladding do not have this problem, as the smooth joins and impenetrable finish make them easy to clean. Bacteria find it difficult to colonise such a surface, making them an increasingly popular choice for new bathrooms and commercial sites. Once the walls and ceiling are cleaned, spray product onto the taps and any other stainless steel components of the bathroom. As this is resting, tackle the shower. 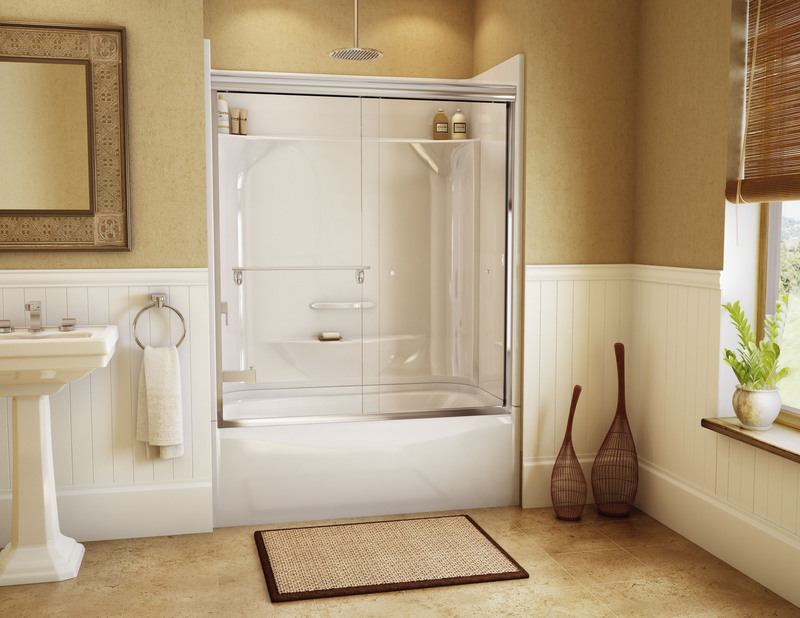 Showers should be sprayed with an appropriate cleanser, including over the shower head itself. Some cleaning products are specifically designed to work against a build-up of soap scum, or others are more suited for hard water areas or those with high concentrations of lime. 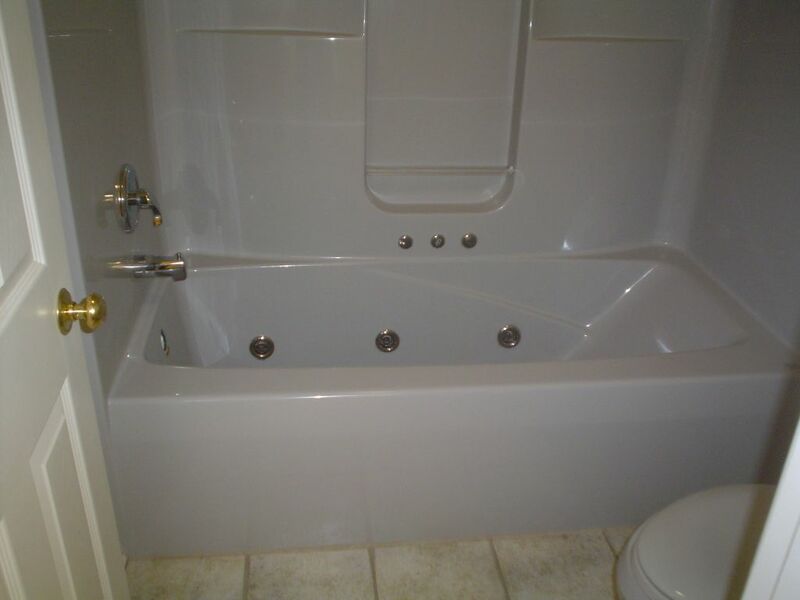 Abrasive scrubbing cleaners can damage the finish of the bath tub or shower tray and should generally be avoided. After a few minutes, use a cloth to scrub the walls of the shower, the taps and the shower head, before rinsing the whole area with the hottest possible water. If looking for a pristine shine, dry the walls with a sponge or rag and then polish quickly with a chamois leather. This also works very well on the bath tub. 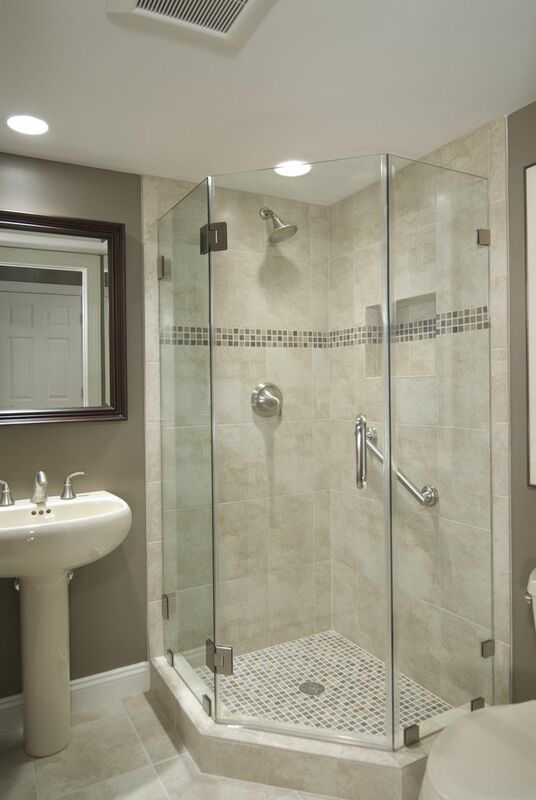 Whilst cleaning the shower, it is important to rinse the shower curtain as well as this often collects mildew where is has been left wet for long periods of time. Do the same process on the sink and the taps there. Once the shower and sink are clean, return to the toilet where the disinfectant has been soaking. Wipe the exterior surfaces first, starting with the handle to prevent contamination. The use the brush to scrub the toilet bowl. Not perhaps necessary on a regular clean, but nevertheless important, is to remove the layer of deposits which often congregate behind the toilet and the layer of scum in the bowl. Use a special cleaner to remove these.